The Darce choke (also known as the screw choke, or the no-gi brabo choke) is a powerful head & arm choke, commonly used in submission wrestling and Brazilian Jiu-Jitsu. In Portuguese, it is often referred too as triângulo de braço invertido, which literally translates as an inverted arm triangle. There are a few chokes, that look similar but are quite different to the Darce choke, namely the traditional arm triangle (Katagatame in Japanese) and the Anaconda choke. The real difference between these and the darce is the position of the hands and the lock. The name Darce, or D’arce as it’s also referred too comes from the American grappler Joe D’arce, who became famous for using this choke. However, history shows the choke originated from a Luta Livre Esportiva competitor named Björn Dag Lagerström, who created the choke by accident. But before Joe D’arce, we must go back to another name it was called by, the Brabo Choke. This became famous through the Brazilian Jiu-Jitsu black belt Milton Vieira. Milton learned the majority of his grappling through a Luta Livre coach, Jefferson ‘Jop’ Pereira, who’s style was also very Jiu-Jitsu based. Later on Milton eventually wanted to pursue a career in MMA and decided to join Brazilian Top Top, one of the best Mixed Martial Arts teams during the early days of the UFC (around the 2000’s era). At the time Brazilian Top team was managed by some of the world’s best grapplers at the time, Zé Mario Sperry, Murilo Bustamante, Ricardo Libório and ‘Bebeo’ Duarte. 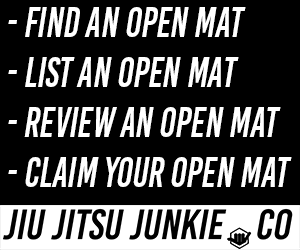 All well known Jiu-Jitsu fighters, all at the top of their game. Milton’s slick submission-oriented style meant he slotted in well into BTT. Milton brought a number of slick submissions into Brazilian Top Team, chokes including the Anaconda Choke and the No-Gi Brabo Choke. These chokes become very popular amongst big name fighters, including their superstar Rodrigo ‘Minotauro’ Nogueria. Minotauro, who at the time was ranked number 2 in the UFC heavyweight division. 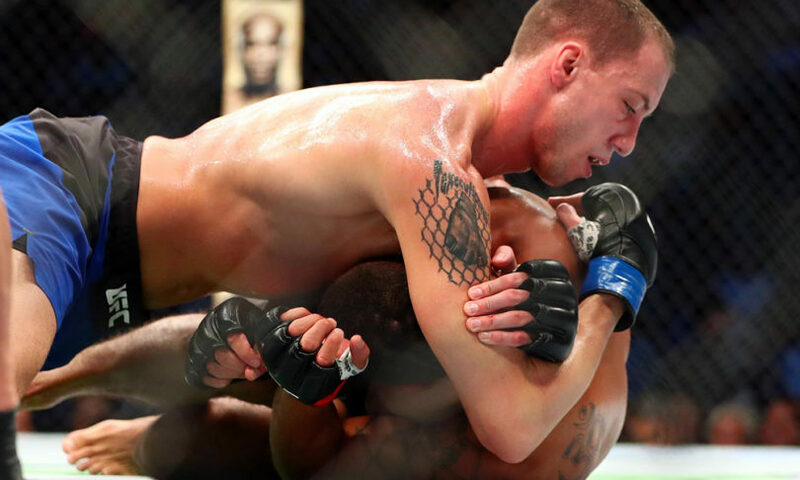 All of the BTT fighters went on to use these techniques in their MMA bouts, ultimately shining the spotlight on positions, alerting the MMA and Jiu-Jitsu world that new techniques had been born. However, after Milton Vieira submitted Cro-Crop with a Darce choke, it was Daniel D’Dane (president of the Luta Livre Federation) who came out to the press, that it was not Milton who created these techniques, it was actually developed in the 1990’s by a Norwegian student of his named Björn Dag Lagerström. It was by pure accident Björn would create this position, after attempting the learn the Anaconda choke from D’ane. Björn would later go on to use this choke in a german submission grappling tournament named “TAP”, where he submitted 3 opponents. Later Daniel D’Dane returned to Brazil in 2001, where he taught these techniques to team mates at Renovação Fight Team, also where the famous Alexandre Pequeno trained. Pequeno would be the one to show this technique to Jefferson Pereira, who would then pass it onto Milton. At this time the Darce choke was still known as the Brabo choke, thanks to Milton Vieira, however, it wasn’t until well known American Grappler Joe D’arce started competing in the 2000s. Representing Renzo Gracie Academy, New York, D’arce learned the infamous choke from RGA coach, John Danaher. Having won several fights with the choke it was another American Grappler names Marc Laimon, who named the choke after Joe D’arce. Now labelled the darce, or D’arce choke, the name started to spread across the states like wildfire. With jiu-jitsu growing across the west-coast, that was the common term for the no-gi brabo choke. The Darce choke is performed when a competitor creates an inverted arm triangle position against their opponent, restricting the blood flow to their brain. The idea behind the choke is that you are using your arms to reduce the space, where your opponent’s head and one arm is, normally this forms the shape of a crude triangle. To execute the choke, you figure 4 your arms and reduce the available space for the head and arm, the pressure of your arm and your opponent’s shoulder compressing against their own neck will be enough to restrict blood flow, ultimately resulting in submission or unconsciousness. The darce choke is more than its name, it’s a fantastic position of control that can open up entries into other positions and attacks. The reason for is, is the nature fo the darce choke, takes one arm out of place and also forces your opponent’s posture down. Such a huge amount of control opens up numerous options. We will go through a few of the most common setups. Top half guard is probably the most common place to setup the D’arce choke. The choke comes from when your opponent has a weak underhook that you can dominate with a whizzer. One you have a whizzer on the underhook, drive your arm further through and drive your weight down on the underhook, this will reduce the underhook strength further. With the underhook managed, you can then look to shoot the whizzer arm through the underside space of the head. Clasp onto the back of the neck to keep your opponent from escaping. With your free arm, bring that over the top of the head and reinforce on the back o the skull with your tricep. With the whizzer arm, connect by grabbing your bicep in a Rear-naked-choke style lock. The free hand should reinforce the position on the back of the shoulder. To finish the choke, drive your weight down on the top of the shoulder and compress with your arms, if need be, feed the whizzer arm through more, the reduce the space. Below is a video which you can use for visual representation and to get the finer details of the choke. In half-guard, side control or knee-on-belly, your objective is to create space between their near arm and their body. Your trigger for this technique is any time your opponent is straight arming you or digging for the underhook. Thread your arm deep under the arm and neck. If they power out, don’t bother trying to get the Darce choke, instead there’s often an opening for a north-south choke. If you are able, put the elbow of your other arm to the ground and smash the back of their head down until you’re able to grab your own bicep. Alternatively, go to the 3/4 nelson position and squeeze their head in tight to lock up the choke. You may have to switch onto your hip to allow full penetration (make sure to come back to your knees once its locked in). Notice how I roll my hand onto my bicep to lock it up tight in the above video. Now the fun part. If you’re in half-guard, use the distraction of the choke to pass. Otherwise, you can finish here by dropping your weight onto their shoulder and squeezing. For the mounted Darce, often your opponent will begin to roll either to their knees or to their back. If they roll away from you, shift on your hip so you’re in low-baseball (reverse kesa gatame) so your hips are pointing towards the opponents legs. Here you are able to step over to mount without getting entangled. Finish the choke. Here you can see Ryan Hall finish the mounted Darce Choke in competition.